OE. 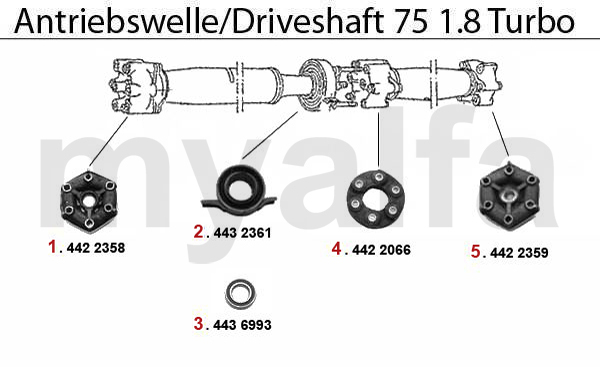 60522599 DRIVE SHAFT SUPPORT 116 6-Cyl. OE. 60506993 BEARING FOR PROPSHAFT SUPPORT 116 6-CYL.